How many mobile phones have you owned over the last five years? Two? Five? Ten? As mobile phone technology evolves, carriers have made it fairly easy to continuously upgrade. It’s common to switch to a new phone every year or two. Like phones, 3D printers are evolving at at a rapid pace. But it’s not easy to upgrade after you sink $2,000+ into a quality consumer printer. Much like a laptop, owners are likely to buy a printer and then hold onto it for five or so years, watching as other people pass them by with newer technology. Type A Machines plans to launch a 3D printer next month that makes it a bit easier to keep up with the future. Like its current Series 1 printer, the new Series 1 Pro printer will be highly modifiable — “accessible source,” as Type A Machines likes to call it. But it will be even easier to swap in upgraded parts that will keep the printer current as it ages. Type A Machines accomplishes this by building printers that are modular. If a user wants to replace the platform on which objects are printed, they don’t have to take apart the entire machine: it lifts out on its own. CTO and founder Andrew Rutter said the team is already experimenting with possible future parts like multiple print heads, but also print heads that are compatible with unusual new print materials. He demonstrated a plastic material shaped like the insole of a shoe that stretched in one direction but not in the other. 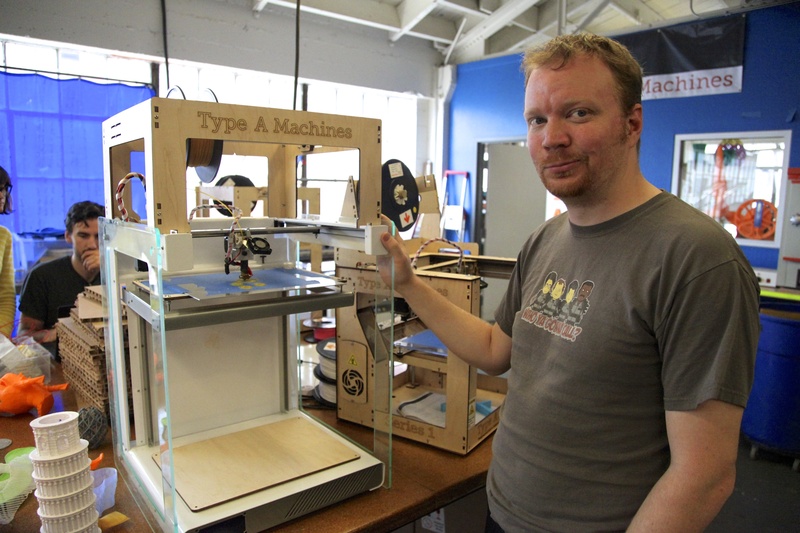 Since its founding in 2012 at the Noisebridge hackerspace in San Francisco, Type A Machines has shipped 350 of its Series A printers. Its team assembles them on the top floor of the San Francisco TechShop makerspace. 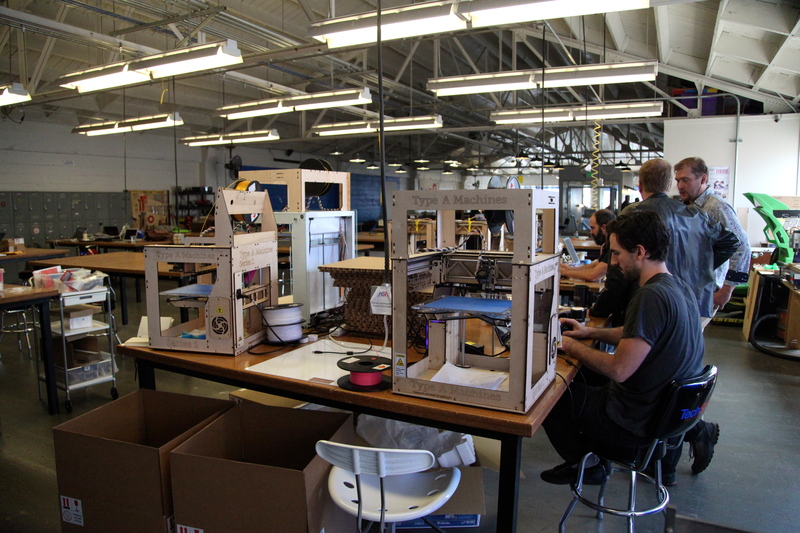 The distinctive plywood printers are known for their large build volume and reliability. The new printer will carry on those characteristics, but with an aluminum frame. The shift will drop the manufacturing time behind each printer from 7.5 hours to less than 3.
could a 3d printer not print a newer updated version of itself?